Defeat the bosses to advance! 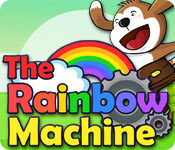 The Rainbow Machine is rated 3.4 out of 5 by 5. Rated 4 out of 5 by pennmom36 from GOOD FAMILY ENTERTAINMENT! Great game for adults and kids alike. This game requires a little strategy but you have all the time in the world because there's no timer. 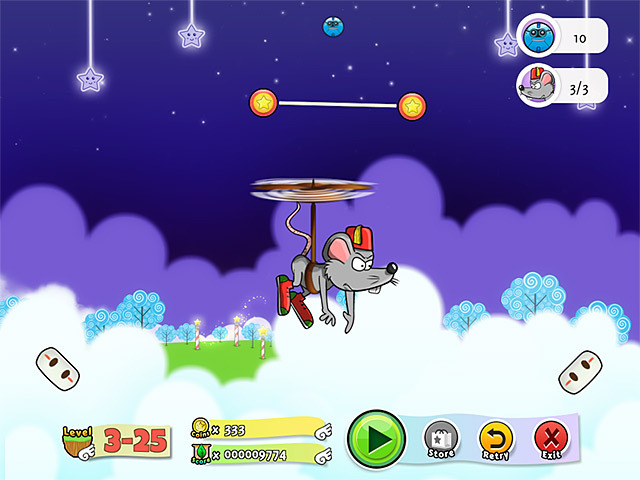 The klepto rats have stolen the professors rainbow making machine and have hidden the parts in different chests and you have to recover the parts and rebuild the rainbow machine. Basically you have a ball at the top that drops down to hit the chest to open it, to do this you must place a rebounder (a line you can place anywhere and in any position) in the right spot so that when the ball drops it will land on the rebounder and the platform will allow the ball to roll into the chest to open it, Some of the scenes will have bouncy marshmallows and various obstacles. You get more points for the first try but you can replay as often as you like. Points can be used in the store to buy power ups like longer rebounders. Enjoy! Rated 3 out of 5 by Janissi49 from Liked it at first...hated it later in the game At first, the game was fun. I enjoyed the challenge, but if I have to work and work and work at a game too long, I lose interest. That's what happened with game. If you like a challenge and you have the patience to figure things out (or you just may be naturally sharp at doing that), then this game is for you. If not, don't bother. 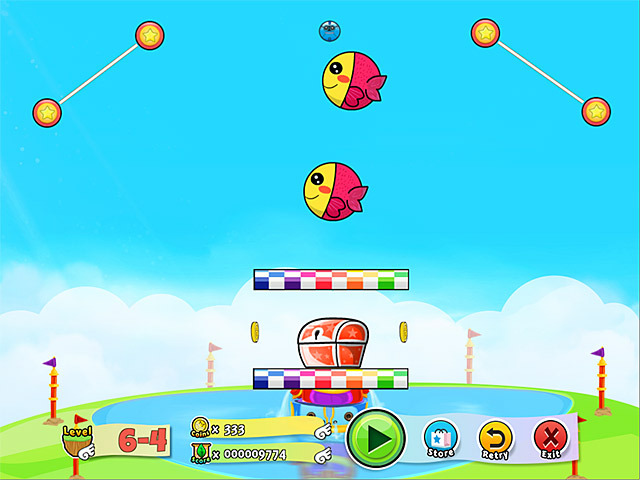 Rated 3 out of 5 by rolliby from Rainbow Machine - Cute but Slow I thought the game idea was cute - but a bit slow for me. Nice idea though. Good strategy for kids. Rated 2 out of 5 by Zellian from A beta release? This is a very stripped down take off of games such as T.I.M. and Cut The Rope. Very clunky controls mixed with compatibility issues (full screen would not work) had me thumbing down this game from the start. The art style is cute and appealing but the resolution is poor. 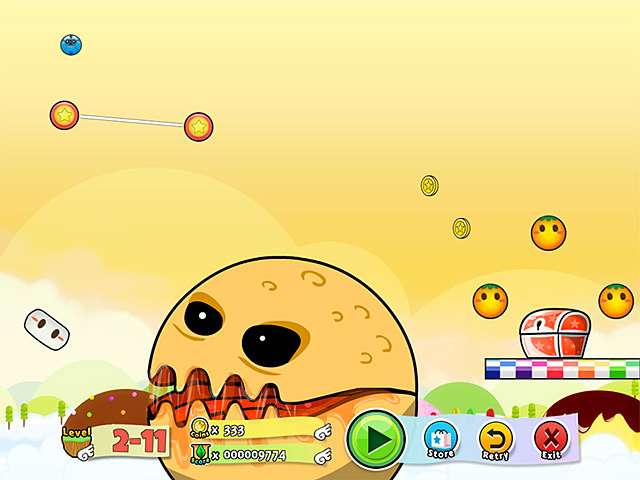 Every single level seems to be the same thing repeated at a slightly increasing difficulty. If you love these kind of puzzle games you might be able to forgive these flaws especially since there are over 100 levels, which is quite respectable. Overall, I wanted to like this game but it is such a let down on too many fronts. Seems unfinished.